Apparently business has been good for me this year because it has kept me distracted from my blog and I’ve missed the first Pops in the Park of 2018! June 2nd was in East Portal Park with IdealTeam. June 9th will be in Bertha Henschel Park with AKA Live. June 23rd will finish out the series at Glen Hall Park with The Count. All of the concerts begin at 6:00pm and as usual, there is free bike valet parking if you don’t want to fight for a parking space and don’t live close enough to walk in. 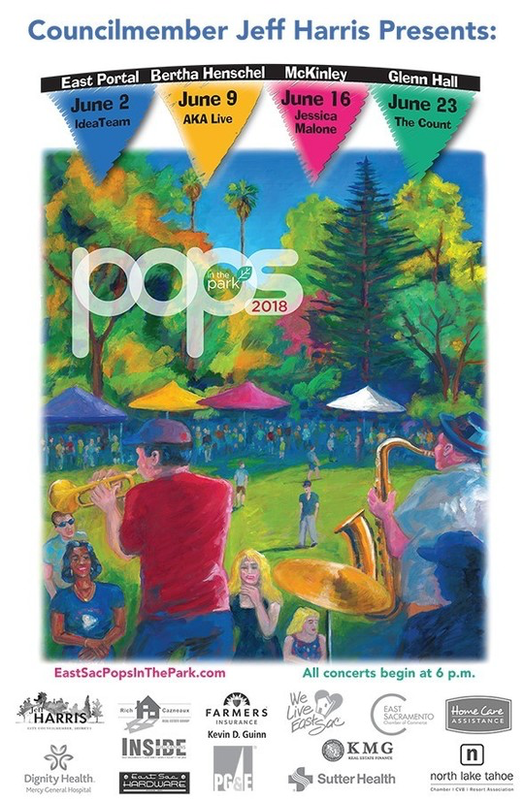 I hope to see a lot of my neighbors when I make it out for some Pops in the Park fun this year.